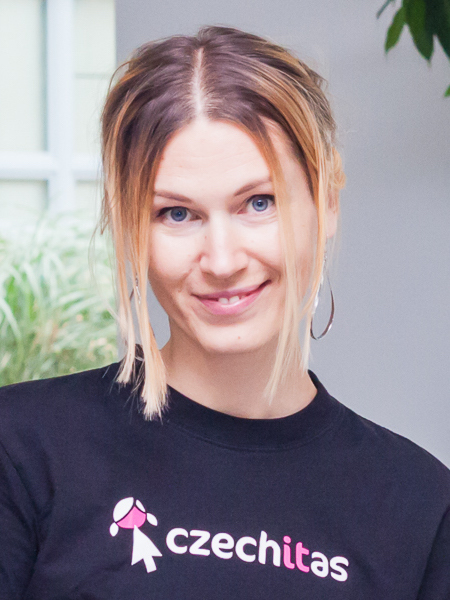 Bara Buhnova has received the Ph.D. degree in computer science at Masaryk University in Brno, Czech Republic, in 2008, for application of formal methods in sofware architecture design. She continued with related topics as a postdoc researcher at University of Karlsruhe and Research Center for Information Technology (FZI) in Karlsruhe, Germany, and later at Swinburne University of Technology in Melbourne, Australia. Besides construction of analytical and simulation models of software systems, she is currently involved in projects applying architecture-based analysis and simulation to smart infrastructures. Bara is involved in organization of numerous top-rated conferences (QoSA, CBSE, ESEC-FSE, ICSE) and acts as a reviewer and guest editor in multiple journals (IEEE TSE, Elsevier SCP, Elsevier JSS, Springer SoSyM, Wiley SME). Although being Czech, she drinks no beer, and hopes that she will not be blamed if Czech falls from the world top in beer consumption - but this will never happen ;). Visual Paradigm grants Masaryk University UML tools, BPMN tools, Agile Story Mapping tools and DFD tools under the Academic Training Partner Program. Software engineering, component-based software architecture, architecture optimization, quality attributes of software systems (reliability, performance), big data, reliability engineering, software support of smart grid management, smart cities, embedded systems. Find more information on my research page.